Recommended to view the resulting triangular wave. This application note was designed to change to output voltage of the Pmod DA3 from 0 to 2.5 V to generate a triangular signal, which can be viewed using an Analog Discovery 2. Fritzing file displaying the connection of the Pmod DA3 to the Arduino Uno. 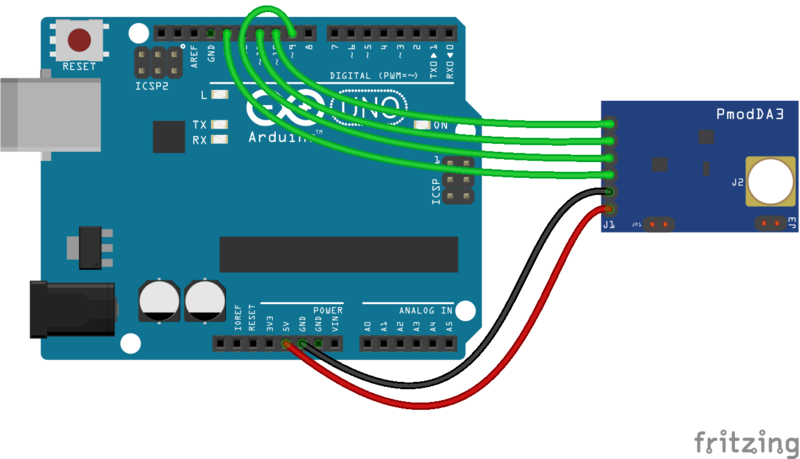 Fritzing image displaying the connection between the Pmod DA3 and Arduino Uno. Visualization of the outputs of the Pmod DA3 using an Analog Discovery 2. 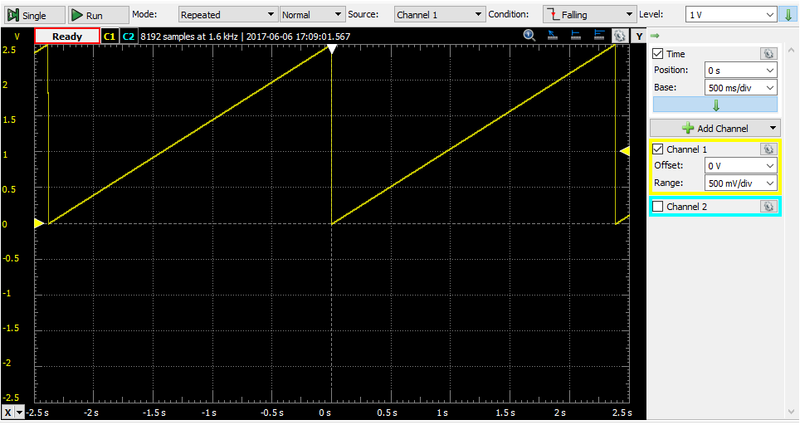 Using this code will change the output voltage on the Pmod DA3 from 0 to 2.5 V to generate a triangular signal. /* Period of signal is eround 2,4 s.